Coursebooks and other teaching materials which are used nowadays in the foreign language classroom are primarily designed to facilitate foreign language learning, but they cannot simply do that since language learning is inseparable from its cultural context. For that reason, it is usually expected that foreign language (FL) teaching materials (TM) that language teachers select should include elements of the target language culture. The extent and ways of incorporating cultural aspects in foreign language instruction vary in different teaching materials, and therefore it is important for the FL teacher to know what to look for in a particular language textbook in order to decide if it is suitable for attaining the aforementioned goals. It seems that language teachers are often unaware of the cultural “richness” of the target language culture and the possible benefits it brings to students. This chapter investigates the role of culture in FL instruction in terms of the cultural content of the TM used in secondary education as well as the teachers’ awareness of the cultural content of the coursebooks they select and later use with their learners. 2. To what extent do the aims and goals of the TM correspond to the needs and goals of the students? 4. To what extent is the goal of the cultural instruction stated? 1. To what extent do the TM reflect the cultural character of the foreign society? 2. To what extent is the cultural content integrated in the course? 1. To what extent is the historical perspective present to explain the national identity of the target language culture(s)? 2. To what extent is the geographical perspective present to explain certain features of the national character of the target language culture(s)? 3. To what extent are the political (also ideological, and religious) perspectives of the target language culture(s) taken into consideration? 4. To what extent do the TM offer insight into the creative arts of the target language culture(s)? 5. To what extent do the TM offer insight into a variety of cultures (for example, British, American, African)? 6. To what extent do the TM offer insight into a variety of subcultural groups? 7. To what extent do the TM offer insight into the socially acceptable or taboo topics of the target language culture(s)? 8. To what extent do the TM offer insight into the cultural/racial/gender stereotypes? 9. To what extent do the TM offer insight into the students’ own culture? 10. To what extent do the TM offer insight into socio-political problems of the target language culture(s) (unemployment, pollution, etc.)? 1. To what extent do the TM develop tolerance towards otherness? 2. To what extent do the TM develop empathy towards otherness? 3. To what extent do the TM challenge the students’ existing stereotypes? 4. To what extent do the TM develop a feeling of the national identity (and an awareness of being a member of an international community as well)? 5. To what extent do the TM encourage curiosity about the other culture(s)? 6. To what extent do the TM prepare students to behave adequately when in contact with the members of other culture(s)? 1. To what extent do the TM encourage students to compare the foreign culture with their own? 2. To what extent do the TM offer mutual representations, images and stereotypes of the students’ own and the foreign culture? 1. To what extent does the cultural context of the TM develop students’ awareness of different linguistic means to express their attitudes? 2. 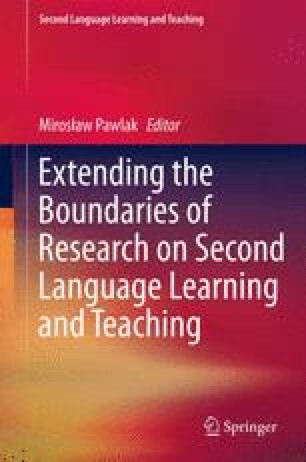 To what extent do the TM develop students’ awareness of the paralinguistic means to express their attitudes? 3. To what extent do the TM teach the register appropriate to the students’ needs (formal-informal, slang, regional idioms)? 4. To what extent is the material used in the texts, exercises, tapes, etc., authentic?